Longstanding customers pay much more than new customers for the same services, adding up to a ‘loyalty penalty’ of around £4 billion a year, across broadband, cash savings, home insurance, mobile phone contracts and mortgages, research from the Competition and Markets Authority (CMA) found. Now it has recommended key reforms across five markets to tackle the problem. This follows a super-complaint made by Citizens Advice that found existing customers are penalised by companies charging them higher prices compared to new customers. Which? research has found similarly that customers who don’t shop around for new deals or switch provider can end up paying more. What has the Competition and Markets Authority found? Annual ‘stealth’ price increases when contracts are renewed. These can result in significant price increases that can go unnoticed by customers. Insurers have been required to send to customers a renewal notice showing the premium they paid last year, alongside the new premium they would pay if they renewed their contract since April 2017. But the CMA said there are some insurers that have not been sending these or they have included incorrect information about premiums. A recent investigation by Which? also found that longstanding home insurance customers can pay over a third more than new customers if they stay with their current insurer. The telecoms regulator, Ofcom, has proposed new rules requiring telecoms providers to notify consumers when they’re reaching the end of their minimum contract period but this is not currently a requirement. Its figures suggest that nearly nine million broadband and TV/broadband bundle customers are collectively overpaying £1bn each year simply because they are out of contract. Customers being required to automatically renew or be rolled over when buying a service or product. The CMA recommended that customers should generally be able to opt in to auto-renewal. Customers should also be able to choose an alternative option without auto-renewal, and this choice should be presented clearly and prominently to customers. In its investigation into the insurance market, the CMA found a customer’s car insurance had been automatically renewed, although his insurer knew his car had been stolen and had paid out the claim. The CMA found around one million mortgage customers and nearly 12 million insurance customers are affected by the ‘loyalty penalty’. 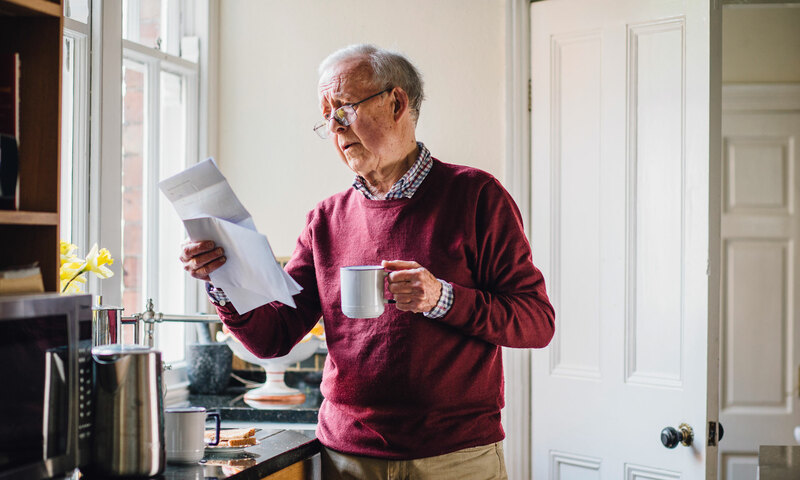 Vulnerable consumers, including the elderly and those on a low income, may also be more at risk of paying the loyalty penalty according to the CMA. The difficulty and time required from customers to cancel contracts. The CMA has concluded that customers must be able to leave a contract at least as easily as they entered it. It is considering whether this should become a legal requirement. In the telecoms market, the CMA found that some customers lost access to their telephone and broadband services when switching. What changes are the CMA recommending? Mobile phone contracts: providers must stop charging pay-monthly customers the same price after handsets have been paid off when the minimum contract period comes to an end. The CMA has also recommended that Ofcom tackles the low levels of awareness of SIM-only deals. Recent research conducted by Which? found that 15% of customers could still be paying their provider for a handset they’ve already paid for. Insurance: the CMA recommended introducing rules to restrict companies raising prices annually, meaning existing customers pay significantly more than new customers. Mortgages: the FCA should investigate what can be done to help or protect the 10% of longstanding mortgage customers who don’t switch provider, even though they could make significant savings. Recent research by Which? has found that homeowners with standard variable rate mortgages could be paying up to £4,000 a year more compared to if they switched to a new deal. Cash savings: the competition watchdog has voiced its support for the potential introduction of a basic savings rate, which would apply to all easy access accounts after a set period of time, and has recommended that the FCA also considers possible alternatives to protect longstanding savings customers. Broadband: Ofcom should consider protecting vulnerable customers by introducing price caps. The competition watchdog found evidence suggesting that broadband customers who are no longer on a contract may be receiving a more limited range of service compared to other customers paying a similar price. A recent survey by Which? has also found that existing customers pay as much as 40% more for their broadband. Use the Which? Switch Broadband comparison tool to save on your next broadband deal. Managing director of money at Which?, Jenni Allen, said: ‘It is right that the CMA has recognised the sheer detriment this unfair practice causes many consumers, costing billions of pounds a year. Today’s announcement must lead to concrete results to stop customers being hit with these excessive charges. All the relevant regulators must act urgently to bring about an end to this bad practice.